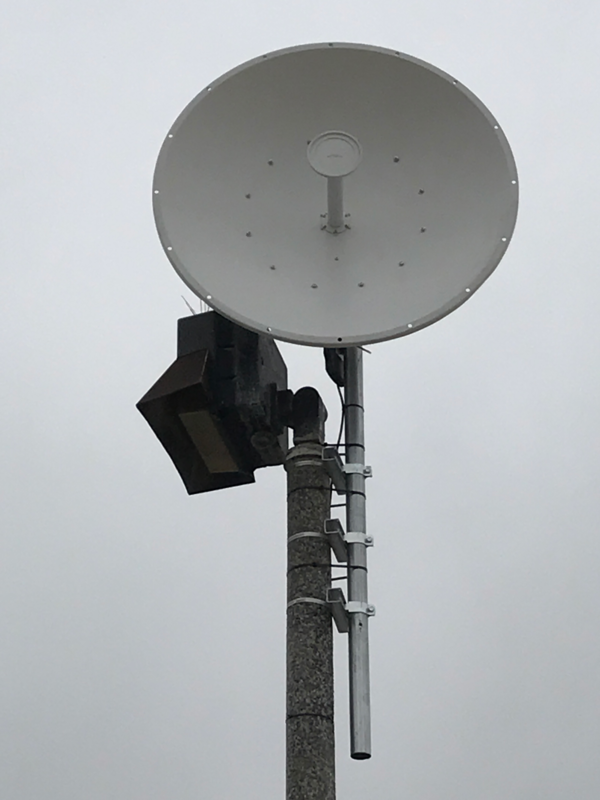 Fixed Wireless (aka point-to-point or microwave wireless) is an ideal technology for providing primary or secondary bandwidth at events. It can be set up quickly (and on short notice), is non-invasive, and does not require long-term commitments. 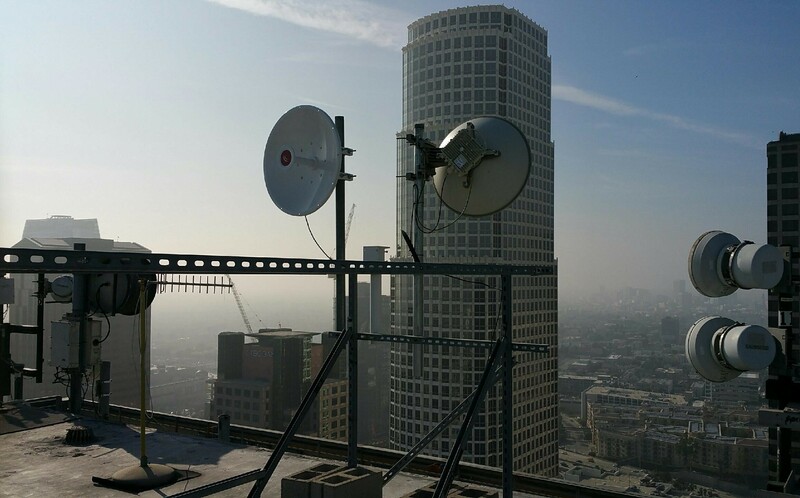 Through fixed wireless technology, we are able to transmit bandwidth over-the-air to your event location from a nearby office building or data center. 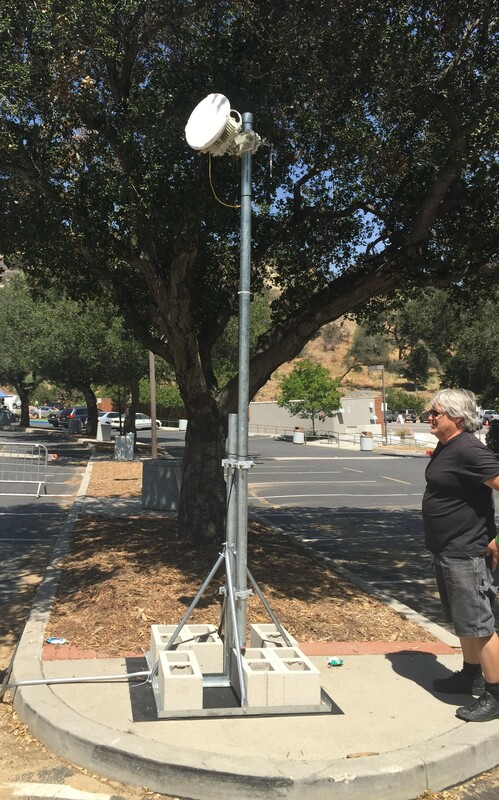 A non-penetrating 2-foot antenna is typically installed on your roof or affixed to a temporary tripod mount. From this antenna, the circuit is routed via an ethernet cable to where it is needed at your event. Unlike other ISPs, our event bandwidth circuits are dedicated (not shared). Our circuits do not fluctuate, even during peak usage times. Trade Show Internet only delivers symmetrical Internet circuits, meaning upload and download speeds are equal. 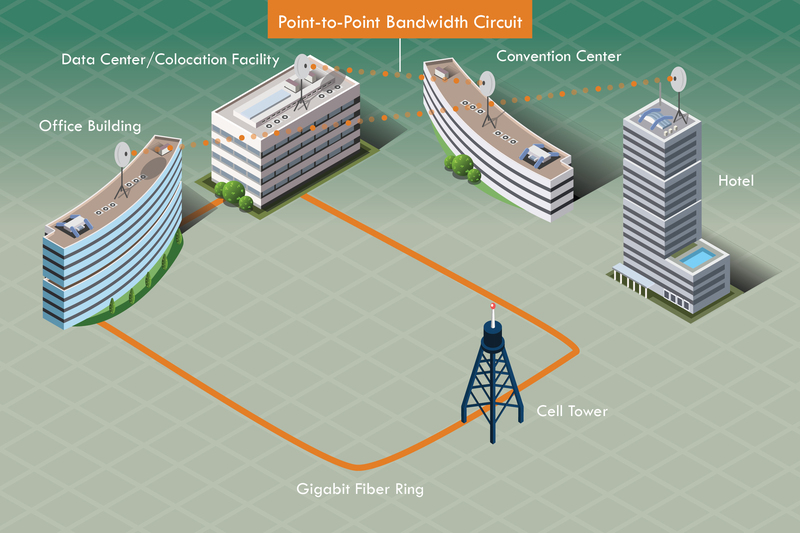 Our fixed wireless point-to-point bandwidth circuits are priced at various speed tiers from 25x25 Mbps up to 1x1 Gbps, contingent upon location. With dedicated, symmetrical Internet access and guaranteed speeds, you’ll enjoy the highest quality, most reliable event bandwidth service. 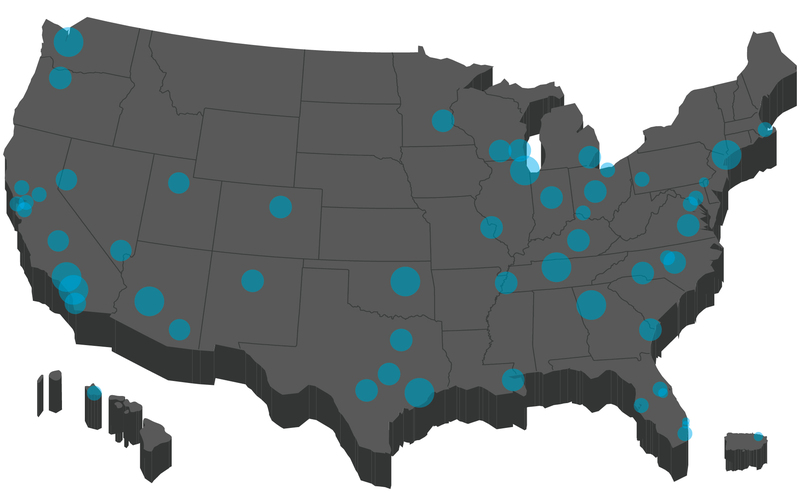 Trade Show Internet installs event bandwidth circuits with just a few days’ notice in over 60 U.S. metropolitan markets. Whether your event takes place in New York City, Los Angeles, Miami, Chicago, Seattle, or somewhere in between, you’ll receive the same professional service, guaranteed speeds, and local support you’ve come to rely upon with Trade Show Internet. Your Trade Show Internet account rep will work with you to determine your event’s bandwidth needs and provide pricing options for various speeds. What you do with your bandwidth circuit is up to you. Some customers plug our cat5 ethernet cable directly into their video streaming device. Other customers bring their own core router/firewall and install their own local area network (LAN), or hire their venue’s IT vendor to provide this service. Trade Show Internet offers a full suite of Event IT and Event WiFi solutions. Our network engineering team can come on-site to monitor your bandwidth, route the circuit to all functional areas of the event space, partition the bandwidth by setting up VLANs, provide wired Ethernet drops, and deploy a high-density WiFi network for staff, attendees, and exhibitors. 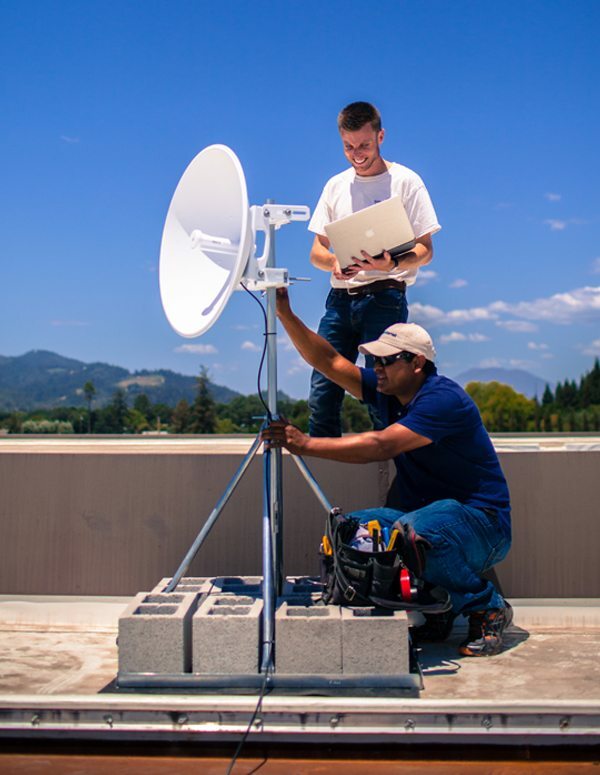 We require venue permission to install our non-penetrating antenna on the roof and run a cable inside the building. Most venue managers are cooperative and simply require our Certificate of Insurance. 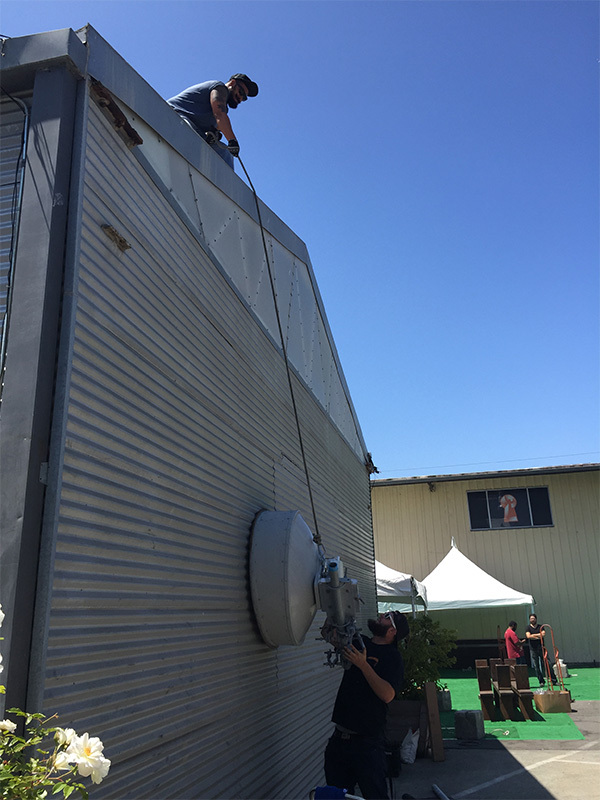 If your event takes place outdoors, we can mount our antenna on the roof of your production trailer, on a tent pole, or on a free-standing tripod. However, if your event takes place in a hotel or convention center, and you are looking to circumvent the in-house ISP, things can be a lot more challenging. You must negotiate the right to bring in your own bandwidth circuit before you sign your venue lease agreement. By removing Internet/telecommunications exclusivity clauses, you can gain valuable negotiating leverage and tilt the balance of power in your own favor. To further reduce Internet costs, you should request a list of all associated venue fees in advance. Many of these fees are negotiable, including electrical, MDF/IDF closet access, fiber cross-connect, copper cross-connect, port access, patch panel, Ethernet drop, roof access, gear storage, and labor supervision. Don’t know what some of these things are? No problem, we can help guide you through the process. Does your event take place outside one of the 60 U.S. metropolitan markets we cover? We may still be able to meet your event bandwidth needs with our bonded 4G Mega Internet Kit rental solution or satellite bandwidth solution. Contact us today for a no-obligation quote.